Before reading this full review, I'd advise you to first read my review of episodes 1 and 2. I decided instead of doing a different post every few episodes, I'd just do a full review instead. Simply put, this show is amazing. I'd say it's on par with Daredevil Season 2 if you were to rank the Marvel/Netflix shows. Meaning that I think this is one of the best series Marvel has put on Netflix so far. I have to admit, I was worried about this project. I was worried it would be cheesy or that it wouldn't address the fact that a story about a bulletproof Black man in modern-day America and the impact of that imagery would be glossed over. I was wrong. The show constantly reminds us of the true meaning of a Luke Cage in today's time. It does it not in a preachy or overbearing way, but in very subtle ways. Make no mistake, Luke Cage is not politically-correct...and that's a good thing. In today's America all Black men, and women as well, wish they were bulletproof. Not to commit crimes without the fear going to prison, but simply to not have to fear interactions with local law enforcement. Luke Cage does many things well. All of the characters have depth and layers of context. None of the villains are cardboard cutouts or stereotypical. I felt like a couple of the performances were a tad over the top, but overall there wasn't really a single character that I felt lacked depth. The showrunners of Luke Cage on Netflix did more with 13 episodes than what Agents of S.H.I.E.L.D. has done with 22 episodes over 3 seasons. This is why I feel Netflix blows Marvel's ABC shows out of the water in terms of quality. Mike Coulter portrays an ex-con framed for a crime he did not commit in Luke Cage. The portrayal is not over-the-top and Cage comes off as the nice guy who is the reluctant hero. He's not loud, nor flashy...he questions the usage of the n-word and he doesn't curse. In many ways he's closer to Captain America on the moral scale than Tony Stark. Cornell "Cottonmouth" Stokes played by Mahershala Ali and Mariah Dillard played by Alfre Woodard overlook the club scene below. Mahershala Ali plays Cornell "Cottonmouth" Stokes, who I believe is one of the most complex Black gangsters ever portrayed on film. Outside of maybe Denzel Washington's portrayal of Frank Lucas in 'American Gangster.' His murder at the hands of his cousin Mariah Dillard serves as a launching pad for the rest of the season. His death came as a huge surprise for me because I was expecting him to serve as the main antagonist throughout the series, but we find out that Mariah is truly crazy. She's not just a crooked politician, she a true villain and maybe even more than Cottonmouth. Even though his death came close to halfway through the series, he was yet another strong Netflix villain and continued the trend set by Wilson Fisk (aka the Kingpin), Kilgrave and The Punisher in the other Marvel/Netflix titles already released. The show delves deeply into the backstory of both Cottonmouth and Mariah who, let's just say, had a very rough upbringing. I can't talk about interesting characters without mentioning Shades, played by Theo Rossi who I didn't mention in the review I did of episodes 1 and 2. At the beginning of the season, I expected him to be a character that I would not end up caring about or finding interesting. He transforms from one of Diamondback's lackey's into a power player seemingly born out of the pages of the 48 Laws of Power (which is actually mentioned several times in this show by Diamondback). By the end, you see that he is playing by his own rules even though he officially works for Diamondback...who serves as the primary villain and ultimate threat to Luke Cage. When Diamondback when first introduced, I thought he was a little cartoonish. When we find out that he is in fact Luke Cage's half-brother and is also the man who framed him...you immediately understand the importance of his character a lot more. I'm not going to leave out Misty Knight either who is played by Simone Missick. She briefly plays the role of Luke Cage's love interest early on in the season before Luke goes on the run. Misty is a Harlem detective for the NYPD who becomes conflicted when she is forced to choose between her job and her interest in Luke Cage. Ultimately, she chooses her job of course and this serves as a breaking of their bond to allow Cage to develop a new love interest with Night Nurse who is played by Rosario Dawson. Misty makes several powerful statements towards the end of the season about the justice system not working if powerful and corrupt people like Mariah Dillard are allowed to walk out of a police department after a young woman turned up dead who could finger her as the killer of Cottonmouth...and everyone knows she's guilty and behind everything happening in Harlem. I really enjoyed Misty Knight in this first season and expect her role to expand in coming shows as it's already been revealed that Misty Knight will be in The Defenders next year. Rosario Dawson gave her best performance as Night Nurse in Luke Cage. Don't get me wrong, I liked her role in Daredevil and her cameo in Jessica Jones, but she really becomes her own in this series. Her role is much larger as it needs to be, given the romance they're developing between her and Luke. A romance that even existed in the comics by the way. When I say ALL of the characters were interesting, I'm not lying. Every character has their moment, but it remains a Luke Cage show through and through. I will end this review on this note, outside of the image of a bulletproof Black man, Marvel's Luke Cage spends a segment of it's twelfth episode not-so-slightly making a strong political statement on police violence via a song by Method Man called 'Bulletproof Love.' That was the highlight of the season for me and is what really sets this apart from anything Marvel/Disney has ever put out before. It is timely, needed and necessary. Luke Cage is the perfect platform for such a statement to be made as well. They didn't HAVE to go there, but they did. They did it without fearing any sort of backlash, which is a risk worth taking. There are pro-Black and pan-Africanist themes all over this series. Everything from the flashing of Malcolm X boulevard in the intro, to the usage of pan-African colors early on in the season. There is even a picture of Africa shown hanging on Luke Cage's wall in one of the earlier episodes. 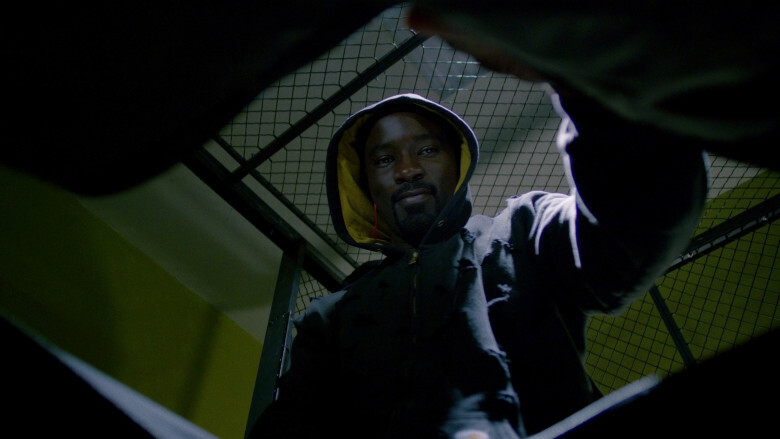 Luke Cage is a very Black show and is unapologetic about it...and that's not a bad thing. It can do that without becoming a stereotypical rehashing of blaxploitatation. In fact it does do that, and so much more. I highly recommend this show for anyone and everyone who likes all things comicbook-related.